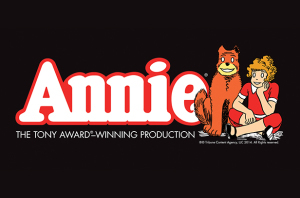 Annie Comes to Boston – Win Tickets for Your Family! Annie is the perfect show to introduce your kids to the theater, or help foster an already growing love. With a lot of kids, plenty of catchy songs, a rags-to-ritches story, and even a live dog, there’s a lot to love. The exciting news is that Annie is coming to the Citi Performing Arts Center Wang Theatre in Boston and several of our members have tickets to give away for opening night on November 5th. They’ve also got a discount code to help make the show even more accessible. There’s a different winner for each site, so make sure to enter them all for the best chance at winning.